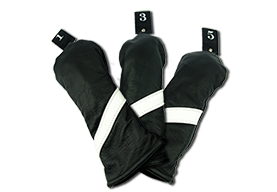 LINED LEATHER HEADCOVER - HAND MADE IN THE UK FROM QUALITY ITALIAN LEATHER<\/span><\/a><\/p>\n\nOur distinctive black leather headcovers are craftsman made in \nthe UK, and exclusive to Persimmon Golf. Cut by hand from fine Italian \nleather, fully lined and stitched, each driver\/fairway wood headcover \nfeatures a diagonal white leather stripe and is fitted with a numbered \nleather tag. A premium quality product. Also leather putter covers with Velcro fastening. Note:\n leather is a natural product and there can be minor variations in the \ngrain pattern etc. Our headcovers are designed to fit Persimmon Golf \nproducts, and may not be suitable for clubs from other manufacturers. 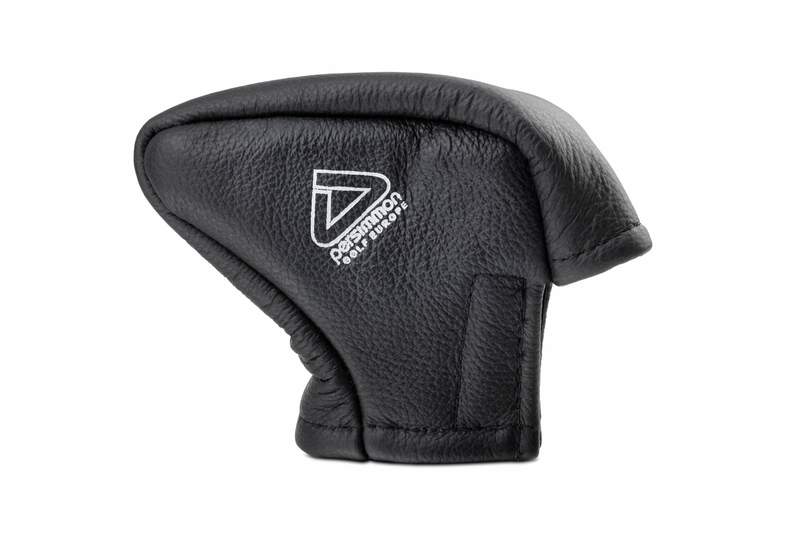 Our distinctive black leather headcovers are craftsman made in the UK, and exclusive to Persimmon Golf. Cut by hand from fine Italian leather, fully lined and stitched, each driver/fairway wood headcover features a diagonal white leather stripe and is fitted with a numbered leather tag. A premium quality product. Note: leather is a natural product and there can be minor variations in the grain pattern etc. Our headcovers are designed to fit Persimmon Golf products, and may not be suitable for clubs from other manufacturers.